Let’s just get this out of the way. 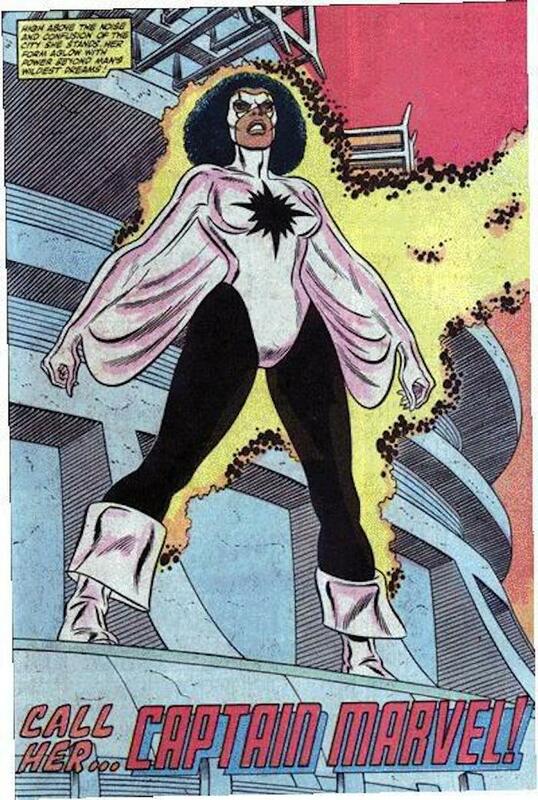 Monica Rambeau exemplifies Black Girl Badassery, but growing up I’d never heard of her before. Honestly, I’d only heard of her a couple of years ago, and even then I still didn’t know anything about her outside of a name. 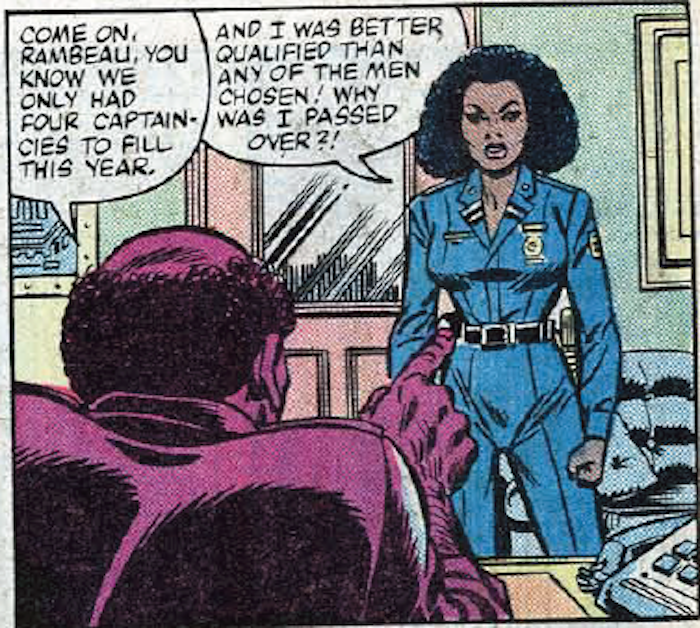 When I was approached with the opportunity to write a guest post on this column in honor of Women's History Month, it struck me how when it came to Black female comic book characters, I--like most of my friends--was only familiar with Storm and knew only a little bit about Misty Knight. Admittedly, my exposure to comic books as a child was heavily centered around the X-men, so there's that. But even in the realm of pop culture or from my always-in-the-know-about-comics cousin, the name Monica Rambeau never surfaced. Could I write about a character I had barely even heard of before? A character I knew next to nothing about? The answer to those questions is yes, and I'm so glad I did because I found a new favorite! 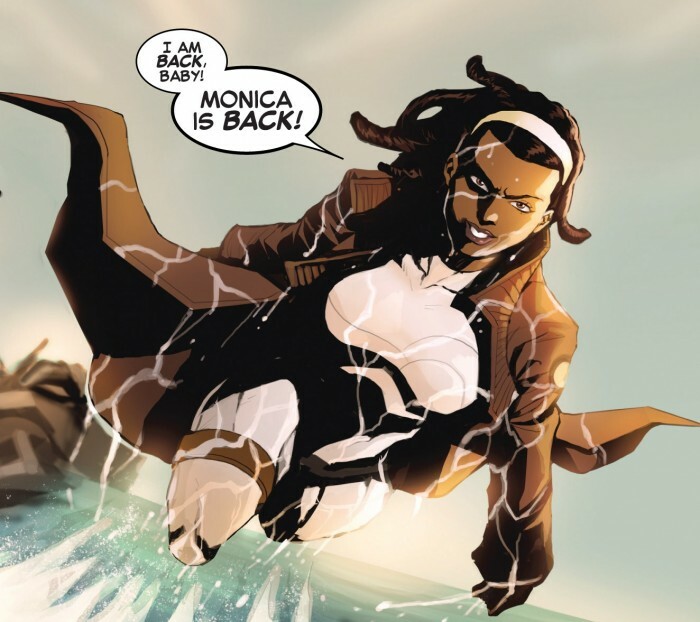 For those of you who have never heard of Monica Rambeau, be prepared to get schooled like I was, and for those of you who are already stans, then I hope I do her justice. 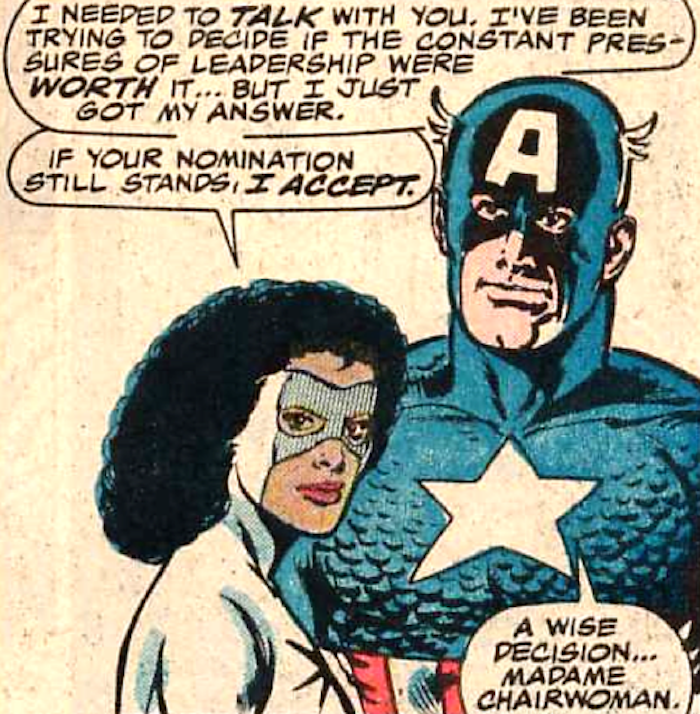 Monica Rambeau, a.k.a. Captain Marvel (more on that in a bit), Pulsar, Photon, and more, first appeared in The Amazing Spider-Man Annual #16 (1982). Born to Frank and Maria Rambeau in New Orleans, she joined the New Orleans Harbor Patrol after leaving college where she served as a cargo ship captain. One day, she stumbled onto the creation of dangerous weapons and was bombarded by extra dimensional energy when she tried to destroy these weapons in an effort to save innocent lives. An explosion ensued, and she was granted superhuman powers, deciding that she could use her new powers to fight crime. I mean, the woman is practically just pure light and energy. I really could’ve made that the whole post, and it would’ve been enough. And yet, there’s more. Monica then becomes known as Captain Marvel. Photo: giphy Monica then becomes the first Black heroine of the Avengers and becomes their leader after getting nominated for the position by Captain America. Photo: i09 Monica proves to be a great leader and leads the Avengers against the X-Men (Avengers vs. X-men #1-4) and then the Olympian gods (Avengers 281-285). During a battle, she accidentally makes contact with the ocean while in her electrical form (ouch) which causes her to be severely injured and depowered. This forces her to retire as a superhero (temporarily), and she steps down as the leader of the team. However, she eventually recovers, and through a series of various adventures, she continues to take on different leadership roles, and fights alongside Black Panther, Luke Cage, Blue Marvel, and many more. 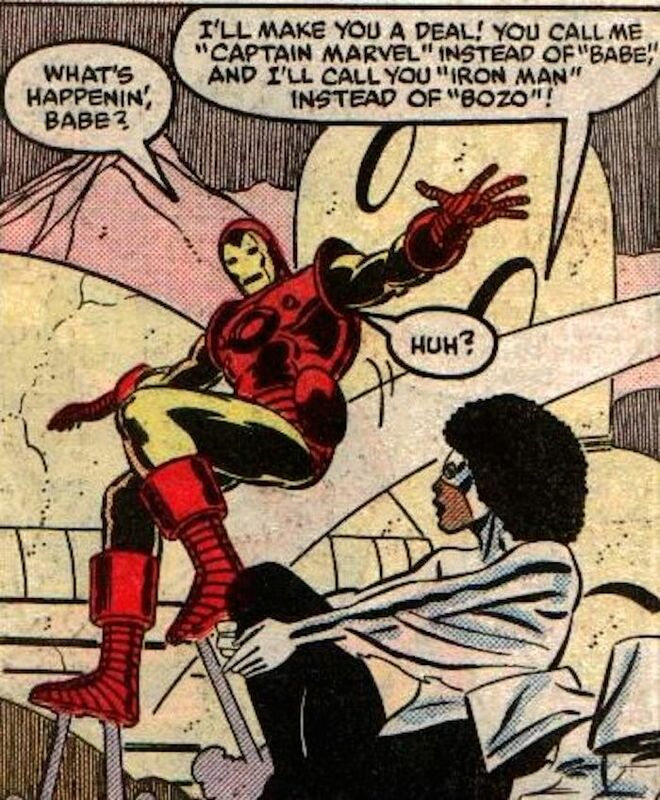 One of things that impresses me the most about Monica Rambeau is how relatable she is. She has a no-nonsense perspective and an independent spirit that shows me just how much she’s like me and my friends. She’s really the type of woman you go to happy hour with and dish about your secrets over Manhattans and martinis -- but she just so happens to have superpowers. Another fact that makes Monica my new favorite is her confidence and the way she constantly exhibits leadership qualities. She knows who she is, what she deserves, and no one is gonna talk to her any kind of way. She keeps it real. Photo: Black Nerd Problems And I love all of it. Learning about Monica over the last couple of weeks has been an absolute pleasure. The more I found out about her, the more I felt she and I were so much alike. I have my fair share of favorite characters and characters I love, but this was the first time that I could actually see myself in a superhero -- not as the person that I want to be but as the person that I am. My only regret is that I didn’t know about her sooner! But that’s ok. What matters is that I know about her now, and I’m keeping my fingers and toes crossed that eventually her character will reach a wider audience. In the meantime, I’m going to purchase my own comic books so I can get to know her even better. I’d like to give a HUGE shout out to Black Nerd Problems for their in depth portrayal of Monica and her unapologetic blackness. There may be similar articles out there, but theirs was the first article I came across that really represented the essence of who she is as a character outside of her powers and captured just how much I could relate to her. Her sharp wit. Her natural hair. Her leadership abilities. Her penchant for black and white outfits (I love black and white outfits). Her everything. Photo: World of Black Heroes I began my research excited to learn something new about a character who has touched the hearts of many, and now I can add my heart to the list. Listen. 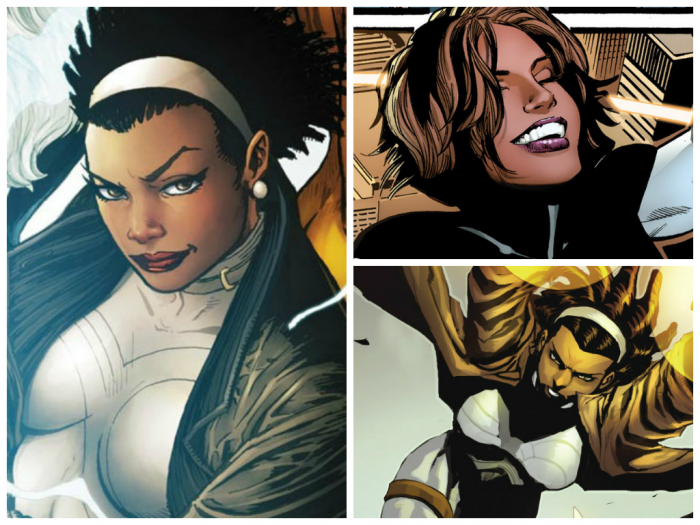 I’ve never cosplayed before, but if I ever do, you betta believe my first character will be Monica Rambeau.